Thank you for visiting our International Training Institution! The Soma Sense Academy Beauty and Hairdressing Training institute was the first Private Training Institute of its kind to open its doors in the Vaal Triangle, almost decade ago! Our learners are our first priority – as their success is vital to our success! 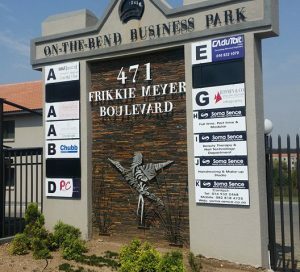 Situated on the banks of the Vaal River, opposite the exclusive Emfuleni Golf Estate, in the heart of the upmarket suburb of SE 3, Vanderbijlpark, Soma Sense is ideally located between the Emerald Casino and Virgin Active in Frikkie Meyer Boulevard. Lectures take place in a calm, tranquil environment with ample parking. Smaller groups of learners to ensure a high measure of individual attention. Practical training is given in modern, fully equipped lecture rooms. Our carefully selected lecturers are specialists in their field. ETDP SETA verified assessors and moderators. Exclusive training kits are provided. Extensive product house training and certification. Please contact our offices for a personal interview in order to discuss different options and to determine a career pathway to suit YOUR individual needs. It will give you the opportunity to view our premises, and make an informed decision about the variety of courses that we have to offer! Celebrating our Matte Lipsticks in all of their intensities. SOFT. DEFINED. BOLD. Are you ready to #MeetYourMatte? An amazing SIX Sensational Skincare Platinum training session in Johannesburg! ???????? We are hosting an Apprentesses Insta-Party! I am inviting the beautiful Kate Roothman! Please have a look at my video!